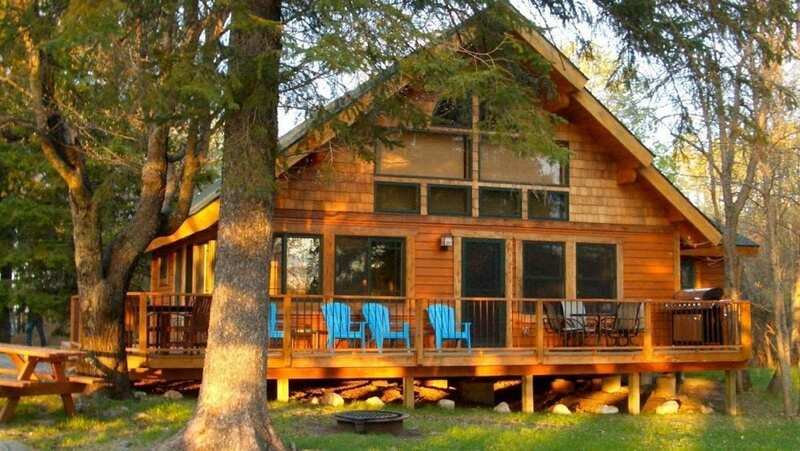 Lovely lakeside cabin rentals with all the comforts of home on Lake Kabetogama in Voyageurs National Park. Many say we have the best walleye fishing in Minnesota! From your dock, explore 65 miles of uninhabited, road-less wilderness waterways with hundreds of islands, coves, and rock bluffs. Be surrounded by wilderness in our secluded bay on 16 acres, with extensive shoreline. Our Lake Kabetogama (Ka-be-tow-ga-ma) is one of a chain of wilderness border lakes with majestic scenery and part of Voyageurs National Park on the Minnesota, Ontario border. This award winning resort offers a variety of fishing and adventures for you to discover. We offer excellent, high quality fishing and pontoon boats equipped with GPS for safe boating and excellent “fish finding.” Our resort grounds offer a sandy beach, floating waterpark and a private bay providing a safe harbor for boats.